A Twitter follower asked a great question about music in the Edwardian era, which alerted me to this gap on Edwardian Promenade. I’ve blogged a lot about ragtime and a little about the opera and musical theatre of the period, but have yet to draw them together–until now. I’m going try my best to stick with 1900s and 1910s England, but a large part of the Edwardian era’s change and growth in music devolved from the first wave of modern “globalization,” where peoples from all walks of life came in contact with one another through technology (ocean liners, telephones, cinema, etc). Also, as with all things in this period, music consumption could be stratified by class. 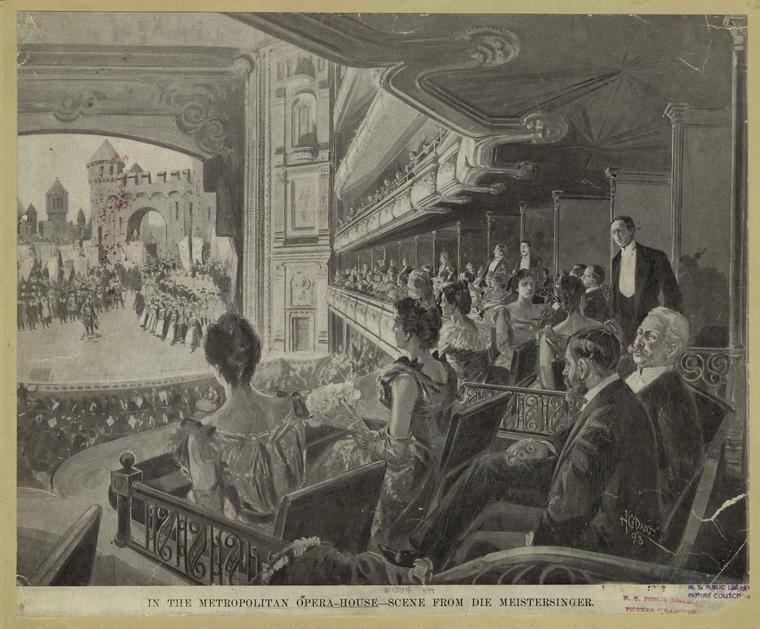 Opera and classical concerts were listened to by a variety of classes, but during the early 1900s, they both suddenly became “highbrow”–which is where they stand today. The rise of sheet music and a middle class finally uninterested in aping the upper classes created a “middlebrow” musical culture. The music hall became “respectable,” and lower and working-class denizens were exposed to masters of the music hall craft, who moved away from cobbling together old skits and revues. The biggest revolution in Edwardian music was the introduction of the gramophone (or phonograph, depending on country of origin). Of course this was limited to the middle-classes and up, but the wild success of recorded music launched a new–and lucrative–branch of the music industry virtually overnight. A public hungry for recordings of popular and traditional tunes, and opera and theatre stars, reached as far away as India, where they couldn’t get enough of comedic tunes from London’s music halls. It’s very likely the increase in literacy and education post-1870s Education Act fostered the growth of music literacy, for this was also the epoch of the great orchestra groups like the Royal Philharmonic Society (earned the “Royal” upon its centenary in 1912), Halle Orchestra of Manchester, and the London Symphonic Orchestra. For the Edwardians, music could be heard in diverse places ranging from the Royal Albert Hall, Queen’s Hall, the Crystal Palace, all the way to bandstands in city parks and at seaside resorts, and regimental bands provided even more exposure to popular and patriotic tunes. Advertisement and the popular press worked in tandem to create superstars of the brightest and most talented of the music world. Victorian-era standbys, like Adelina Patti retained their popularity well into the Edwardian era, but new luminaries tapped into the bombastic publicity emblazoned across newspapers, magazines, omnibuses, playbills, etc to build their reputations. Conductor Thomas Beecham, widely considered one of the most important musical geniuses of the 20th century, nevertheless used his family wealth to enter the opera world, and arrogantly reigned over the English music scene until his death in 1961. 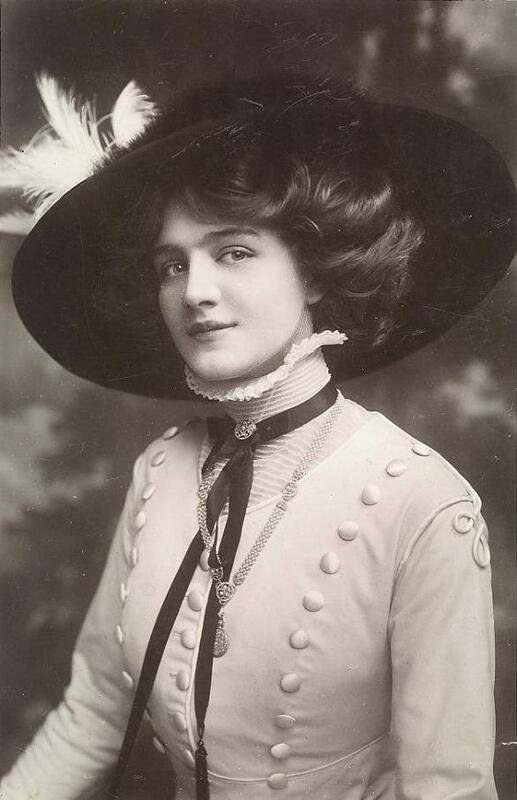 In general, the Edwardian era is most associated with the frothy, glittering, magical music that wafted from the musical comedy–and the Gaiety Theatre and Daly’s under the “Guv’nor” George Edwardes in particular. These comedies usually had the word “Girl” in the title, featured light comic tunes sung by glamorous leading ladies and gentlemen, and anchored by a chorus line of beauties known as Gaiety Girls. Most songs written by Lionel Monckton and Ivan Caryll, whose compositions and lyrics made stars out of Lily Elsie, Gabrielle Ray, Gertie Millar, and other comic actresses. The most enduring musical comedy was The Merry Widow, an adaptation of Die Lustige Witwe by Franz Lehar, which ultimately ran at Daly’s for a little over two years. Its famous waltz sold over 200,000 copies in sheet music, and it was seen by nearly two million people throughout its first run (King Edward VII was said to have viewed it four times!). The appetite for this kind of spectacle opened the door for American-style revues and American style music (ragtime, blues, and early jass [later jazz]). Book-ending the Edwardian period were the ragtime compositions of Scott Joplin and the rollicking blues & jass of Jelly Roll Morton, though the dominance of black music and black musicians did not emerge until after WWI. Early globalization led to an increasing diversity of musical acts. Minstrel and racial stereotypes still persisted, but Britons (and Americans) of color took control of their own representation and productions in the Edwardian era. England’s own Samuel Coleridge-Taylor, born to an Englishwoman and a Sierra Leonean doctor, gained fame as a composer of modern classical tunes, the most famous being his The Song of Hiawatha, which caused an immediate sensation upon its premiere in 1898. Coleridge-Taylor soon became a point of contact within Britain and America’s black musical circles, who ranged from fellow composers like Will Marion Cook, to choir groups (very popular with all social classes and ethnicities) like the Kingston Choral Union from Jamaica. In India, the gramophone spread English music, but it also spread knowledge of traditional songs of the country’s various ethnic groups. Surprisingly, it was Indian women who led the way, and the first two decades of the 20th century created superstars of Gauhar Jaan, Malka Jaan, Zohra Bai Agrewali, among others. 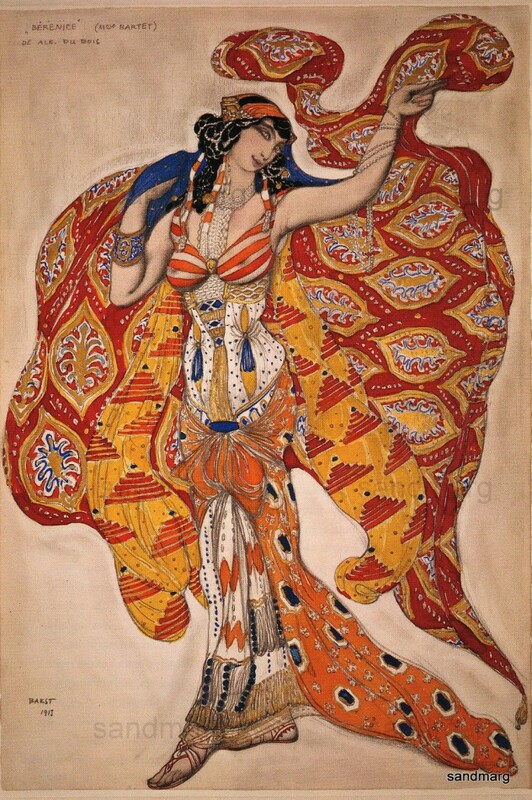 Ballet Russes Oriental 1913 Costume Design Leon Bakst. The Ballet Russes brought avant garde music–composed by Igor Stravinsky and Claude Debussy–into the mainstream. Stravinsky, Debussy, and Maurice Ravel, were some of the titans of the new movement in music, which mirrored the growing avant garde art movements like Post-Impressionism, Fauvism, Symbolism–all under the umbrella of “Modernism”–and changed the way 20th century listened to classical music. If I could sum up the topic of music in the Edwardian era in one word, it would be “variety.” The early 1900s didn’t see a complete break with Victorian traditions, but its breadth and depth was indicative of a society that had begun to find its individual footing. 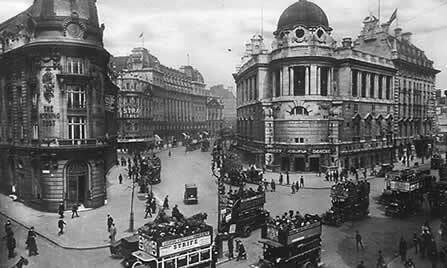 The Edwardian era was the apex of the Golden Age of Opera, which roughly dated between the 1880s and the early 1930s. Hundreds of thousands of people from all walks of life crammed into opera houses across the globe to weep and clasp their hands to the thrilling sounds of top opera stars, and the top Edwardian hostesses vied for their services in their homes–at any cost. Luckily for us, many of their voices were preserved on a newfangled invention: the phonograph (or gramophone). Here are a few selections. – two versions of “Suicidio!” from Ponchielli’s La Gioconda, the first recorded in 1906 (unpublished, later released as a dub on IRCC) and the second in 1911, both for Columbia Phonograph Company. 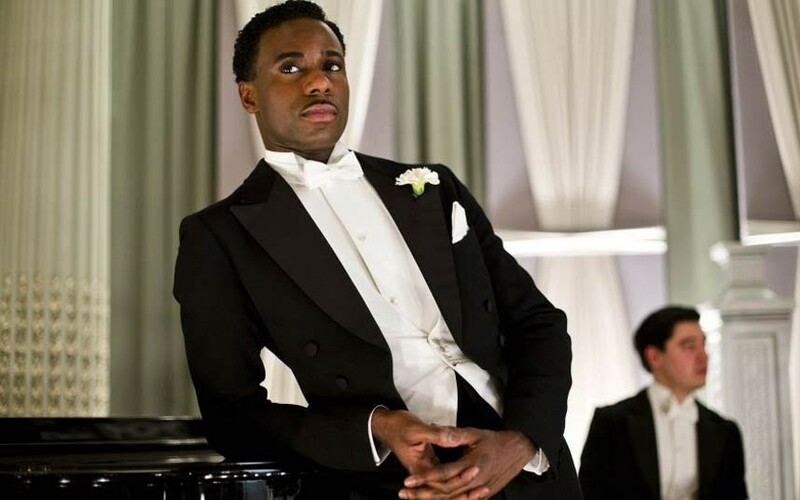 Jack Ross (Gary Carr) in Downton Abbey, and the Louis Lester Band (Louis Lester is played by Chiwetel Ejiofor) in Dancing on the Edge, both give us a peek at the infiltration of not just jazz music, but black jazz musicians, into British society of the 1920s and 1930s. Though jazz music burst into mainstream Britain in 1919, with the arrival of the Original Dixieland Jazz Band, the popularity of ragtime music in the Edwardian era laid the foundations for the acceptance of this syncopated music and its black (and sometimes white) musicians. During most of the First World War, Dan Kildare and his orchestra made Ciro’s nightclub the place to be for a spot of after hours fun–and drinking after curfew. Kildare, an American of Jamaican heritage, first earned his stripes in James Reese Europe’s venerable Clef Club Orchestra (the first black orchestra and first jazz musicians to play at Carnegie Hall in 1912) before taking the group–after Europe resigned to form the Tempo Club–to Joan Sawyer’s Persian Garden. Sawyer, a popular ragtime dancer, and Kildare collaborated on the earliest ragtime-jazz recordings after James Reese Europe’s recordings–Europe directed Vernon and Irene Castle’s official band–ignited the music industry. Kildare’s success was short-lived due to the union and racial politics of the day, which penalized the many non-union black musicians playing at the nightclubs popping up across New York City. In early 1915, Dan Kildare and his orchestra sailed for England on the White Star Line’s Megantic, and made for London, where “they had a contract for a year’s engagement at the elegant new Ciro’s Restaurant.” WWI was England’s first brush with the stirrings of jazz music, which, incidentally happened almost concurrently with France’s introduction to jazz via the African-American troops attached to the French army in 1917-1918. However, this was not England’s first brush with popular black performers. As early as 1903, the Williams and Walker Company’s ragtime musical, In Dahomey, smashed records on Broadway and in London’s theaterland, thus earning the company an invitation from King Edward VII for a command performance at Buckingham Palace. 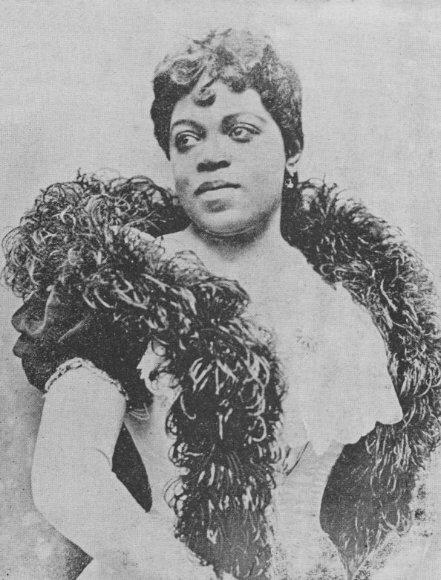 Other popular black entertainers of the Edwardian era included Billy McClain, Belle Davis, the Native Choir from Jamaica, and various choral groups loosely linked to the famous Fisk Jubilee Singers, to name a few. Black entertainers first brought spirituals and gospel to British audiences, then ragtime, and finally, jazz. That said, the first jazz band to hit the mainstream, The Original Dixieland Jass Band (Jazz in 1917), was made up of white American musicians. The ODJB brought the New Orleans style jazz to prominence via recordings, and took society by storm. At the same time, the all-black Southern Syncopated Orchestra (which was made up of black Brits, West Indians, and black Americans) made serious strides in popularizing jazz music. Both bands became staples at nightclubs and private society parties, and the American-loving, very hip Prince of Wales (future Edward VIII) followed his grandfather’s suit by inviting the SSO to play at Buckingham Palace. The jazz age, the era of the Bright Young Things, was a reaction against the slaughter of WWI and the Edwardian values that–according to the youth of the day–led to senseless war. According the Catherine Parsonage, “[i]n the 1920s, the perceived simplicity and freedom of black culture could be something desirable for whites to emulate, rather than just observe or imitate, and jazz ‘seemed to promise cultural as well as musical freedom’ for young people.” By 1926, “the Royal Albert Hall was hosting a Charleston ball, and the magazine, the Melody Maker, was actively promoting American jazz in Britain.” And by the late 1920s and early 1930s, the advent of the BBC and the increased quality of gramophone records both made jazz a bit more “respectable” (that is, acceptable in middle class drawing rooms), especially when all classes made a habit of dancing to the radio. The Prince of Wales and his brothers further led the way with the enthusiastic taking up of popular black jazz musicians and singers like Duke Ellington and Florence Mills (Mills was one of the Duke of Kent’s rumored conquests)–though aristocratic shipping heiress Nancy Cunard was considered to have taken the mingling with black entertainers a bit too far with her romantic liaison with Henry Crowder and her vocal civil rights activism. By the closing of the Jazz Age, the music that gave the era its name had carved a place for itself in the gramophones, nightclubs, and radios of British listeners, and gave its musicians equal prominence in a time where the barriers between entertainers and Society broke away from their pre-war boundaries. Dancing on the Edge: what was life really like for black jazz bands in 1930s Britain?